Is it all the same to you when you eat an orange, a tangerine, or a mandarin? Some people simply divide these fruit into “oranges” and “smaller oranges” as categories and leave it as such. But if you are still interested in what you eat and wish to find out the difference between a tangerine and a mandarin, read on. A tangerine is a citrus fruit. According to some classifications, it is a type of mandarin, while according to others, it is a separate species in itself. Its peel is reddish-orange in color and is tough. As far as taste is concerned, the tangerine is a bit tart. A mandarin is a group of citrus fruit which includes tangerines, clementines, and satsumas. Appearance-wise, the mandarin has a bright orange peel that is smooth and thin. Its pulp is very sweet and juicy. Apart from it being a matter of personal taste and preference, knowing the difference between a tangerine and a mandarin is important, especially if you cook a lot of international recipes. A tangerine is a type of mandarin, but not all mandarins are tangerines. 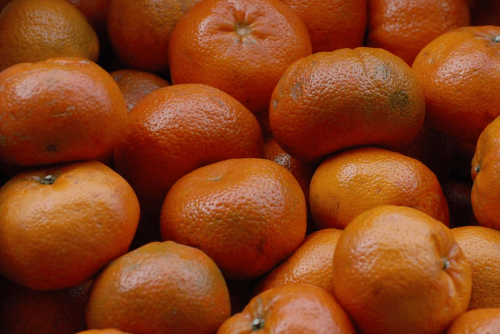 Apart from tangerines, other types of mandarin oranges are clementines and satsumas. Although they were both cultivated in South-east China, tangerines first arrived in Europe through Tangier, hence the name “tangerines.” Otherwise, mandarins, as a group of fruit, are originally from China, as one might expect. As far as shape is concerned, a mandarin is more oblate, while a tangerine is rounder. You can more easily stack mandarins in a pile, as they are flat at both ends. The color of a mandarin is light orange, whereas a tangerine has a slightly reddish-orange hue. Put side by side, you notice that the tangerine is visibly darker than other types of mandarins. A tangerine has a thicker skin with a pebbly aspect. On the other hand, a mandarin is smoother and has a thinner skin. It is always easier to peel a mandarin than any other citrus fruit. This also makes it softer and more sensitive to bruising. 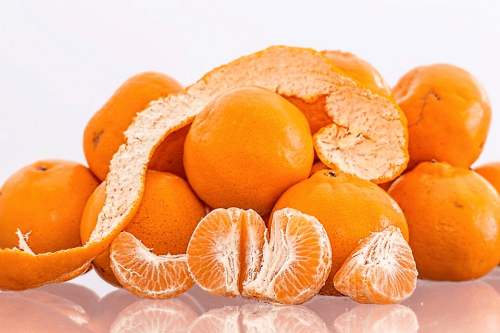 There is a difference in taste between tangerines and other types of mandarins in the sense that a tangerine is somewhat tart, while the others are sweeter. This makes tangerines perfect for cooking with meats such as duck and chicken. Mandarins are great for salads and desserts. Tangerines are the ones most often associated with the notion of the Christmas orange and they are great to consume when you have a cold. They contain synephrine, which is a decongestant. Although they are easily transported, they do not keep well without refrigeration.